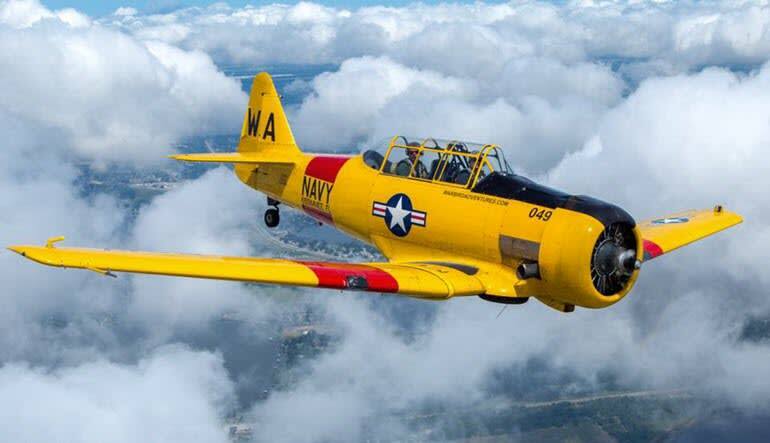 Jump behinds the controls of the ‘Pilot-Maker’ for a 15 minute flight in a T-6 Texan near Orlando. Come fly like the aces of yester-year in the Premier Fighter-Trainer of WWII. You’ll take the controls in the front seat while an experienced instructor teaches you everything you need to know about flying the warbird. Whether you’re a seasoned-pilot or brand-spanking new, you will be doing the flying from taxiing to landing. You’ll be the pilot and you’ll get to see Orlando from a new perspective.